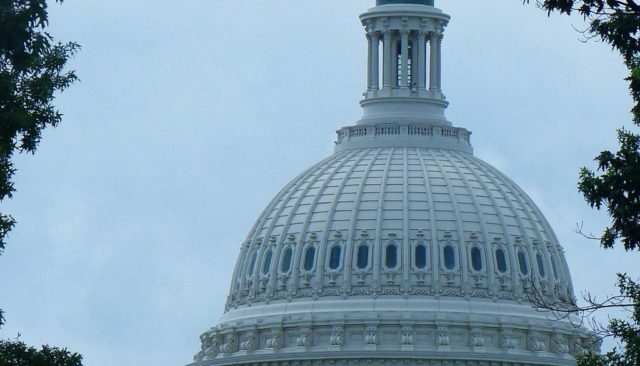 Congress completed the final FY 2011 Appropriations bill last month and, while the final bill included cuts to many areas of the federal budget, we are pleased that funding for domestic violence and sexual violence programs was not specifically targeted for cuts! That victory would not have been possible without your commitment and dedication. With FY ‘11 successfully behind us, it’s time to turn our attention to FY 2012. This will be a challenging budget year and Members of Congress need to hear from their constituents that federal funding for domestic and sexual violence programs saves lives in their communities! 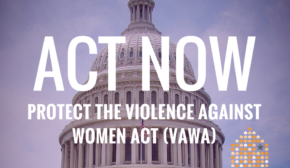 A “Dear Colleague” Sign-on letter for targeted investments for Violence Against Women Act (VAWA) and Family Violence Prevention and Services Act (FVPSA) programs is currently circulating in the U.S. House of Representatives. This is a perfect opportunity for you to contact your Representative to let him or her know about the vital importance of VAWA and FVPSA funding. Call your Representative and urge him or her to sign on to this letter, which will be sent to key funding decision-makers soon! Representatives Gwen Moore (D-WI), Jan Schakowsky (D-IL) and Tammy Baldwin (D-WI) have come forward to champion funding for VAWA and FVPSA and are circulating the letter. The deadline for Representatives to sign on to their letter is Wednesday, May 18, 2011. It is crucial that Representatives hear from their constituents right now about how these programs are essential in their communities. As they weigh their funding priorities, we must help them understand that funding for domestic and sexual violence is very important to their constituents! Last year, 63 Representatives signed on to a similar letter. See who from your state signed a letter last year. Call your Representative and urge him or her to sign-on to the letter to support funding for the Violence Against Women Act and the Family Violence Prevention and Services Act in the FY 2012 Budget. Call 1-866-997-6651 to reach the Congressional Switchboard and ask them to transfer you to your Representative’s office. If you don’t know who your Representative is, visit http://www.house.gov and enter your Zip Code in the box in the top right corner of the page. In addition to the Dear Colleague letter, Members of Congress need to hear from their constituents about the need for federal funding for domestic and sexual violence programs. Write a letter to your Members today! Soon, Senators will circulate a similar Dear Colleague letter, and we will encourage you to call your Senators and urge them to sign on. We will send further alerts asking you to reach out to your Members of Congress at crucial times throughout the FY 2012 Appropriations process. Thank you for taking action to support survivors of domestic and sexual violence!